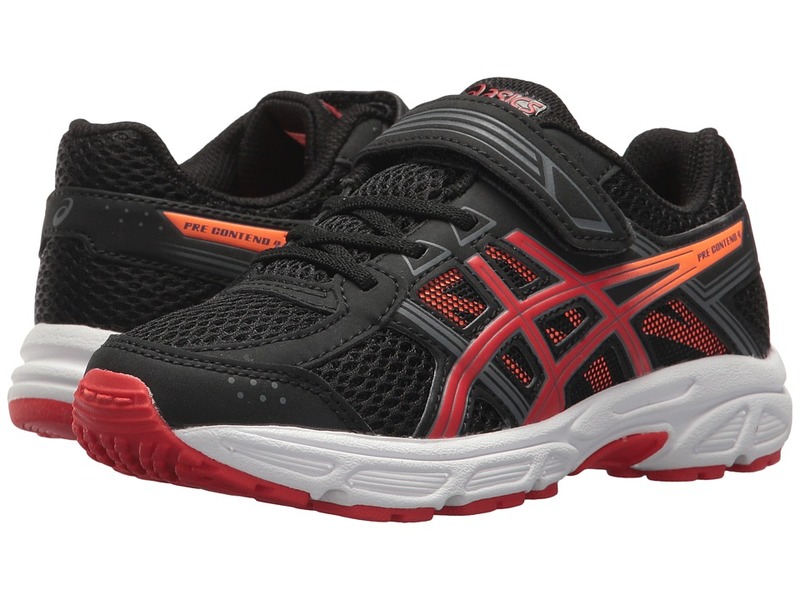 Move in the direction of comfort with the ASICS Kids GEL-Contend 4 PS! Breathable mesh upper with synthetic overlays. Lace-up with single hook-and-loop closure for snug fit. Padded collar and tongue for added comfort and stability. Breathable mesh lining. Removable sockliner to accommodate orthotics. Rearfoot GEL Cushioning System minimizes shock during impact and smooths transition to midstance. Reinforced stitched toe cap for added durability. Rubber sole for durability and traction. Imported. Measurements: Weight: 6 oz Product measurements were taken using size 2 Little Kid, width M. Please note that measurements may vary by size. Weight of footwear is based on a single item, not a pair.